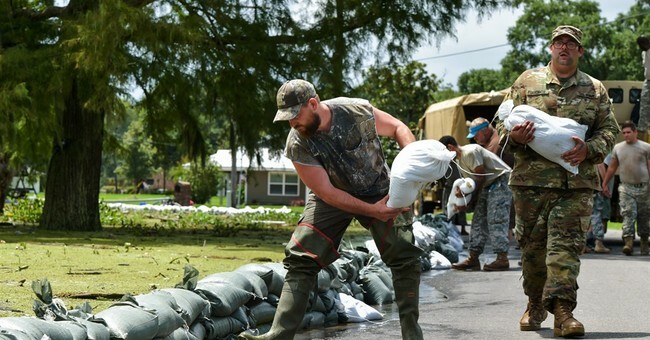 Louisiana Flood Victims: Why Is Obama Ignoring Us? In 2005 President Bush was rebuked by Democrats for his handling of Hurricane Katrina. President Obama scored some cheap political points -- blasting President Bush for his flyover of the devastation in New Orleans. Well, at least President Bush paid a visit. That's a lot more than what President Obama has done for the people of Baton Rouge and other parts of southeastern Louisiana. Some 40,000 homes are under water - a countless number left homeless - many without flood insurance. And even though the waters have begun to recede, President Obama has not set foot in the Bayou State. READ THE FULL STORY AT TODDSTARNES.COM!